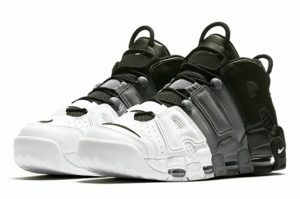 Nike is set to release a new version of the Uptempo with a Black, Grey and White upper. To call this monochromatic colorway “tricolor” is a misnomer but don’t let that stop sneakerbloggers from their usual hype thievery. 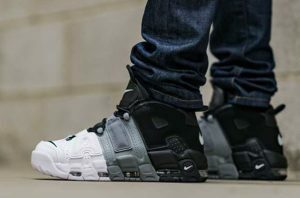 This “TriColor” Uptempo will release Saturday August 12th.